Abstract: Spatial distribution pattern is significant to the map generalization and map matching. The roundabout is the typical representative of miniature ring-like pattern in road networks. Based on the principle of improved Hough transform to detect the circle, a geometric recognition method of roundabout is proposed in this paper. 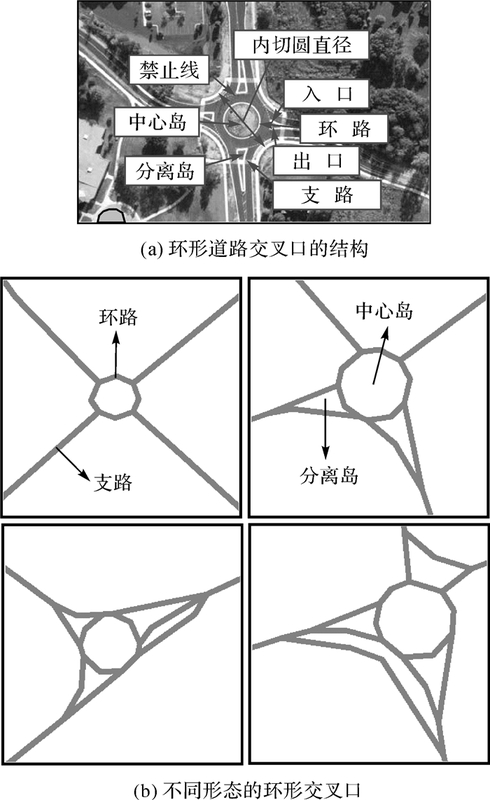 This method can be divided into two parts:circulating road recognition and branch recognition. Firstly, circulating road is identified by the circle recognition, uniformity optimization, and similarity optimization. 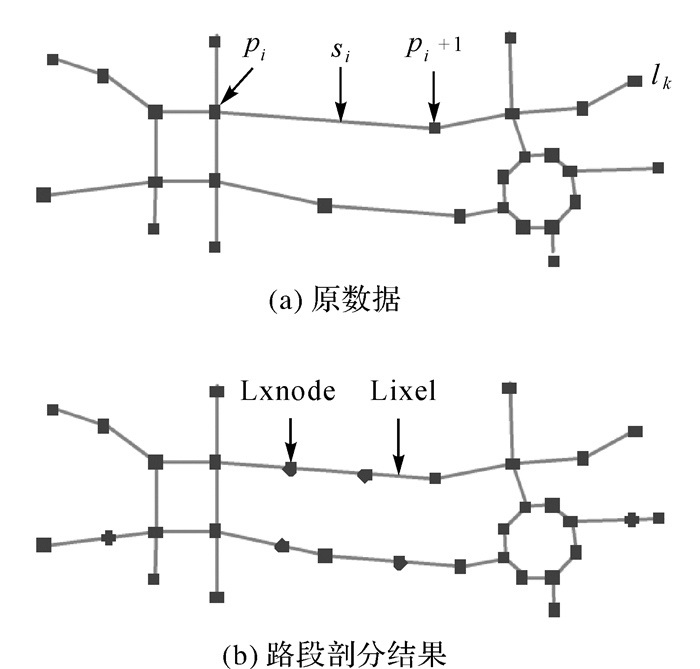 Then the branch is identified by connectivity discrimination, branch classification and combined branch supplementation. 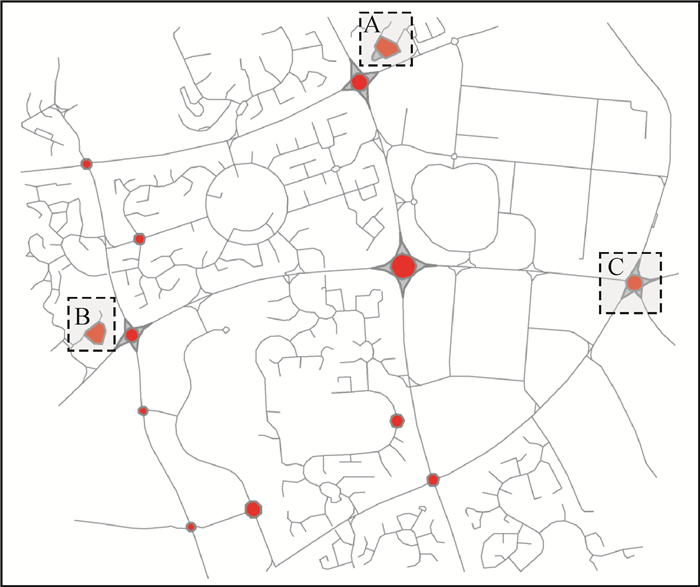 The results of partial road data in UK show that the proposed method can effectively identify the roundabouts, and both the recall and precision are higher than the comparison method. MACKANESS W, EDWARDS G. The Importance of Modeling Pattern and Structure in Automated Map Generalization[C]//Proceedings of the Joint ISPRS/ICA Workshop on Multi-scale Representations of Spatial Data. Ottawa: [s.n. ], 2002. 王家耀. 地图制图学与地理信息工程学科进展与成就[M]. 北京: 测绘出版社, 2011: 91-120. WANG Jiayao. Advances in Cartography and Geographic Information Engineering[M]. Beijing: Surveying and Mapping Press, 2011: 91-120. 武芳, 钱海忠, 邓红艳, 等. 面向地图自动综合的空间信息智能处理[M]. 北京: 科学出版社, 2008: 298-305. WU Fang, QIAN Haizhong, DENG Hongyan, et al. Intelligent Processing of Spatial Information for Automated Map Generalization[M]. Beijing: Science Press, 2008: 298-305. 武芳, 巩现勇, 杜佳威. 地图制图综合回顾与前望[J]. 测绘学报, 2017, 46(10): 1645–1664. ZHANG Qingnian. 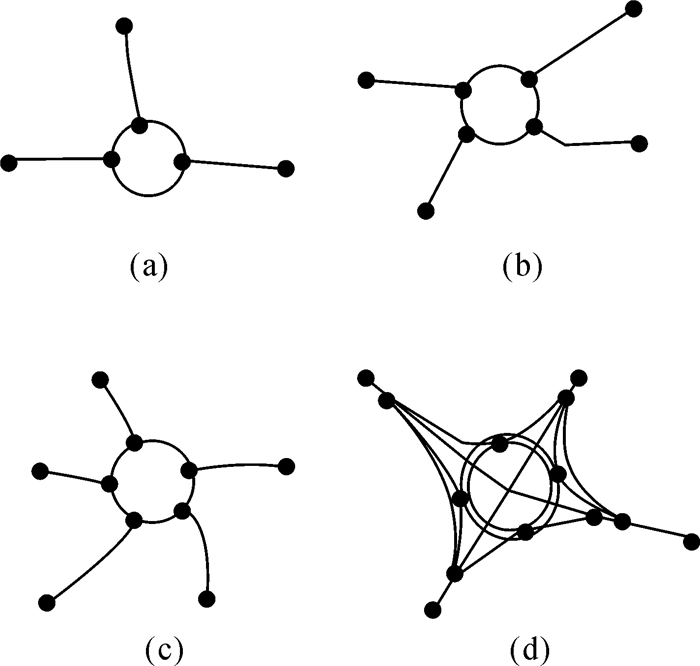 Modeling Structure and Patterns in Road Network Generalization[C]//Proceedings of ICA Workshop on Generalisation and Multiple Representation. Leicester: [s.n. ], 2004. 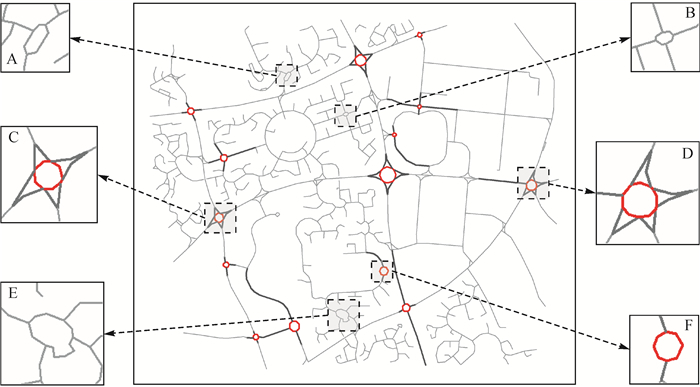 HEINZLE F, ANDERS K H. Characterising Space via Pattern Recognition Techniques: Identifying Patterns in Road Networks[C]//Generalisation of Geographic Information: Cartographic Modelling and Applications.[S.l. ]: Elsevier Ltd, 2007: 233-253. HEINZLE F, ANDERS K H, SESTER M. Graph Based Approaches for Recognition of Patterns and Implicit Information in Road Networks[C]//Proceedings of the 22nd International Cartographic Conference. La Coruna: [s.n. ], 2005: 9-16. 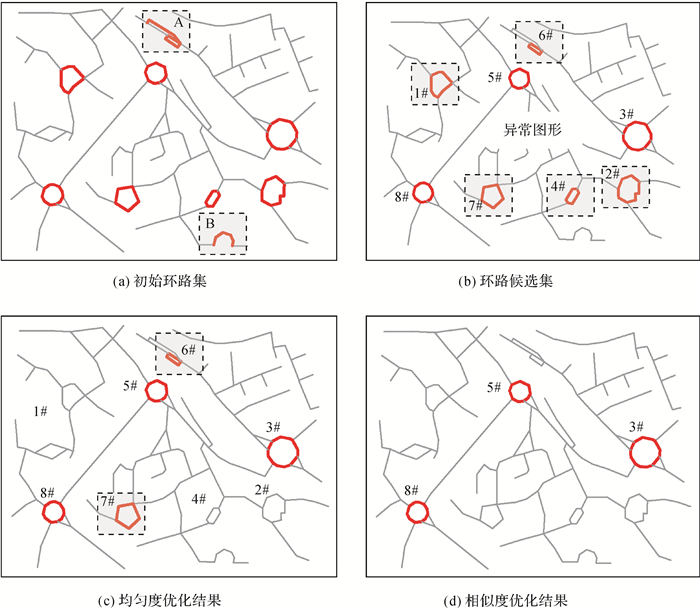 HEINZLE F, ANDERS K H, SESTER M. Pattern Recognition in Road Networks on the Example of Circular Road Detection[C]//Proceedings of the 4th Geographic Information Science. Münster: Springer, 2006: 153-167. 巩现勇, 武芳, 焦洋洋, 等. 基于关联规则分类的道路网网格模式识别[J]. 测绘科学技术学报, 2013, 30(6): 633–637. 田晶, 张泊宇, 吴荡. 一种矢量道路网辐射模式识别新方法[J]. 武汉大学学报(信息科学版), 2013, 38(18): 1234–1238. TIAN Jing, ZHANG Boyu, WU Dang. 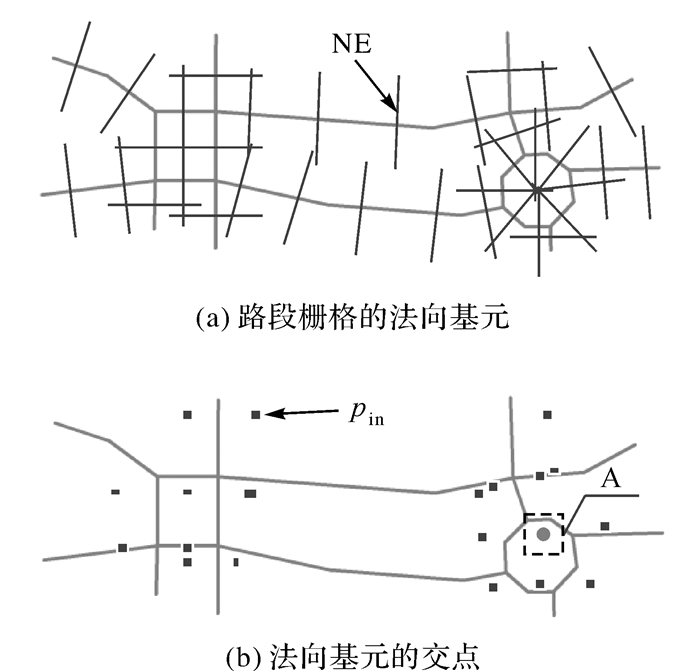 A New Method for Identifying Radial Pattern in Vector Road Networks[J]. 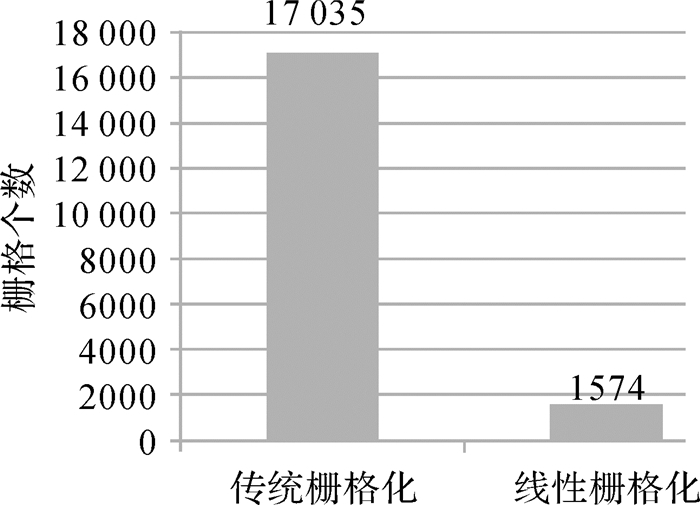 Geomatics and Information Science of Wuhan University, 2013, 38(18): 1234–1238. 徐柱, 蒙艳姿, 李志林, 等. 基于有向属性关系图的典型道路交叉口结构识别方法[J]. 测绘学报, 2011, 40(1): 125–131. XU Zhu, MENG Yanzi, LI Zhilin, et al. Recognition of Structures of Typical Road Junctions Based on Directed Attributed Relational Graph[J]. Acta Geodaetica et Cartographica Sinica, 2011, 40(1): 125–131. 王骁, 钱海忠, 丁雅莉, 等. 采用拓扑关系与道路分类的立交桥整体识别方法[J]. 测绘科学技术学报, 2013, 30(3): 324–328. 马超, 孙群, 陈换新, 等. 利用路段分类识别复杂道路交叉口[J]. 武汉大学学报(信息科学版), 2016, 41(9): 1232–1237. 何海威, 钱海忠, 谢丽敏, 等. 立交桥识别的CNN卷积神经网络法[J]. 测绘学报, 2018, 47(3): 385–395. SAVINO S, RUMOR M, ZANON M, et al. Data Enrichment for Road Generalization Through Analysis of Morphology in the Cargen Project[C]//Proceedings of the 13th ICA Workshop on Generalisation and Multiple Representation. Zurich: [s.n. ], 2010. 中华人民共和国住房和城乡建设部. CJJ 152-2010城市道路交叉口设计规程[S].北京: 中国建筑工业出版社, 2010. Ministry of Housing and Urban-Rural Development of the People's Republic of China. CJJ 152-2010 Specification for Design of Intersections on Urban Roads[S]. Beijing: China Architecture and Building Press, 2010. HOUGH V, PAUL C. Method and Means for Recognizing Complex Patterns: US, 3069654[P]. 1962-12-18. 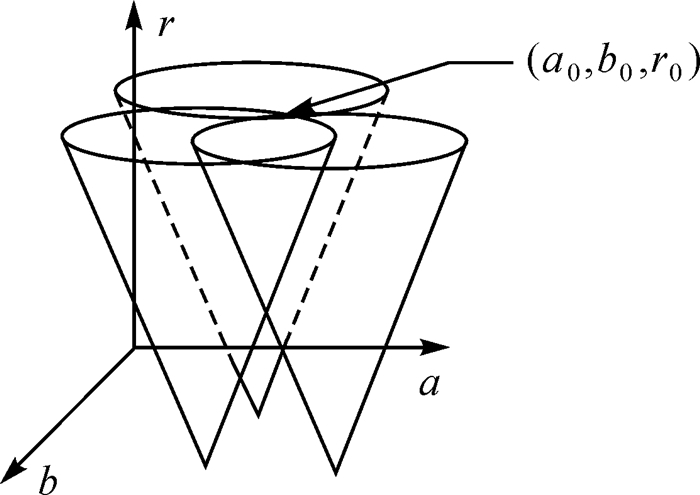 DUDA R O, HART P E. Use of the Hough Transformation to Detect Lines and Curves in Pictures[J]. Communications of the ACM, 1972, 15(1): 11–15. AI Tinghua, YU Wenhao, HE Yakun. Generation of Constrained Network Voronoi Diagram Using Linear Tessellation and Expansion Method[J]. Computers, Environment and Urban Systems, 2015(51): 83–96. SHE Bing, ZHU Xinyan, YE Xinyue, et al. Weighted Network Voronoi Diagrams for Local Spatial Analysis[J]. Computers, Environment and Urban Systems, 2015(52): 70–80.